There are more than 2.7 million registered nurses (RNs) in the United States. The majority of RNs work in medical and surgical hospitals, while the rest are employed by home healthcare services, skilled care facilities, outpatient care centers, and physicians’ offices. As the largest group of healthcare professionals in the medical industry, RNs provide vital care and treatment. Responsibilities include administering medications, monitoring and operating medical equipment, establishing care plans, recording medical histories, performing diagnostic tests, and teaching patients how to manage illnesses at home. 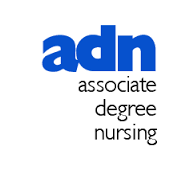 To ensure that these duties are performed safely and efficiently, a registered nurse must hold an associate’s degree in nursing (ADN) or higher from a state-approved program. There are over 1,300 high-quality ADN programs across the country. They are offered by a breadth of academic institutions including technical and community colleges, dedicated nursing schools, and four-year colleges and universities. These competitive programs typically take two to three years to complete. Students begin with core courses in anatomy, physiology, microbiology, chemistry, nutrition, and psychology. They then progress to a range of nursing topics such as maternal-child nursing, adult health, pharmacology, patient care, multi-system nursing care, mental-health nursing, management concepts, and transitions in nursing. Programs also include liberal arts coursework and mandatory supervised clinical experience. While all ADN programs are highly selective and competitive, it may be more difficult to earn admission at a top four-year college or university. In general, all applicants must meet GPA and prerequisite requirements, and they must pass background, health, and safety checks. The admissions process may also include assessment tests, an entrance exam, and drug and alcohol testing. Like admissions requirements, tuition costs differ significantly from school to school. Tuition varies by school type (e.g., public vs. private), program length (e.g., traditional vs. accelerated), region of the country, and local residency status. A community college ADN program may cost a local resident just $10,000 tuition for two years of study. A private college could cost $50,000 over the same timeframe. Fortunately, no matter the investment, it will pay off in higher earnings power. Registered nurses are among the highest-paid healthcare professionals, with a median annual salary of $66,220. High-performing RNs can earn more than $80,000 per year. A successful career as a registered nurse begins with a high-quality nursing degree program. Browse our website’s directory to find the best ADN programs in your local area.